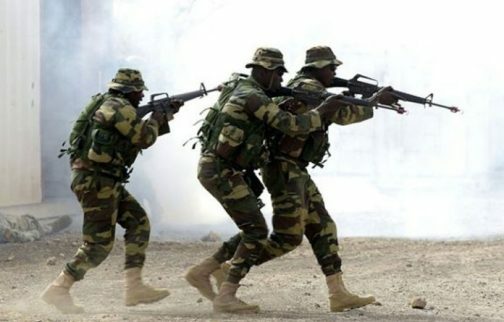 The Nigerian Army on Saturday said it had evolved new technologies in army uniforms and application of drones in the campaign against Boko Haram insurgents in the northeast, NAN reports. Tukur Buratai, the Chief of Army Staff, COAS, said applications of drones and new technologies were critical in modern warfare to ensure successful implementation of the counter insurgency campaign. .
Mr Buratai said: “now, even the uniform is technology-based, it will be tagged wherever you are; it sends signal when you are in danger, and these issues are very important. .
Technology is playing important role in warfare and we are not left out; we have in place a transformation and innovation department. . The department is working on research and developments not only on basic equipment but equally more scientific and technological facilities to enable us to carry out our operations. .
We are also working on deployment of drones, the Nigerian Air Force has been deploying drones in our operations in the northeast and they are deploying more, it has been very effective in this operation. .